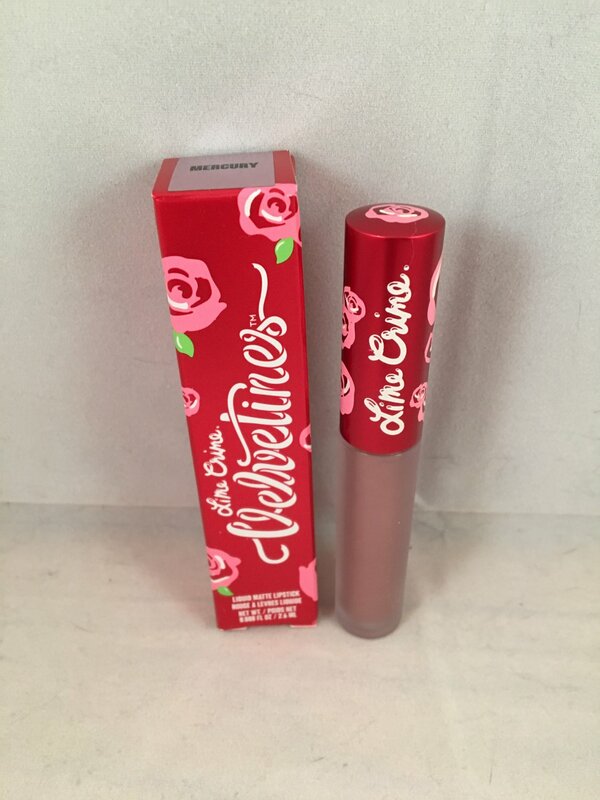 Lime Crime Velvetines Liquid Lipstick - Mercury. This shade is a metallic mauve. "Richly pigmented, French vanilla-infused formula glides on as a liquid and dries down to a luxurious, velvety matte finish that lasts for hours and hours. Touch-proof, kiss-proof and utterly addictive!" This is brand new in box. This is the full size at 2.6 ml / .088 oz. Retails for $20.